This entry was posted on February 22, 2013 by cehualli. It was filed under Cehualli's View, Culture, Interpretations, Miscellaneous, Religion, Things and was tagged with adorar, animism, Aztec, Aztec religion, Azteca, ética, bed, belief, blood, bloodletting, Central America, ceremony, child, children, Codice Florentino, copal, costumbre, creencia, cultura, culture, devotion, dios, dioses, divine, divinity, education, elder, ethics, faith, fe, filosofía, Florentine Codex, folk magic, folk religion, four directions, Fray Bernardino de Sahagún, god, goddess, gods, Hernando Ruiz de Alarcón, honor, Huitzilopochtli, idea, incantation, incense, indígena, Indian, indigenous, indio, J. Richard Andrews, jaguar, jaguar mat, jaguar seat, la religión de los aztecas, magic, magick, Mesoamerica, Mexica, Mexicayotl, Mexico, moral, morality, nagual, Nahua, nahual, nahualli, nobility, noble, ocelotl, philosophy, piedad, piety, post-Conquest, prayer, pre-Christian, pre-Columbian, Pre-Hispanic, Precolumbian, Quetzalcoatl, reflexión, religion, respect, ritual, robber, Ross Hassig, Sahagún, sangre, school, shapeshifter, sincrética, sleeping mat, sorceror, sorcery, supervivencia, survival, telpochcalli, teología, Teotl, Tezcatlipoca, theology, thought, tigre, Tlaloc, Tlalticpac, tobacco, tradicional, traditional, Treatise on Heathen Superstitions, witch, witchcraft, worship, youth. > Interestingly, Quetzalcoatl was noted by Sahagún in the Florentine Codex to be the patron of this supernatural lawbreaker. I had read somewhere, can’t remember, but it always stuck in my mind, that people born on Quetzalcoatl’s birthday are feared to turn into evil nahuals/sorcerers, makes sense now. 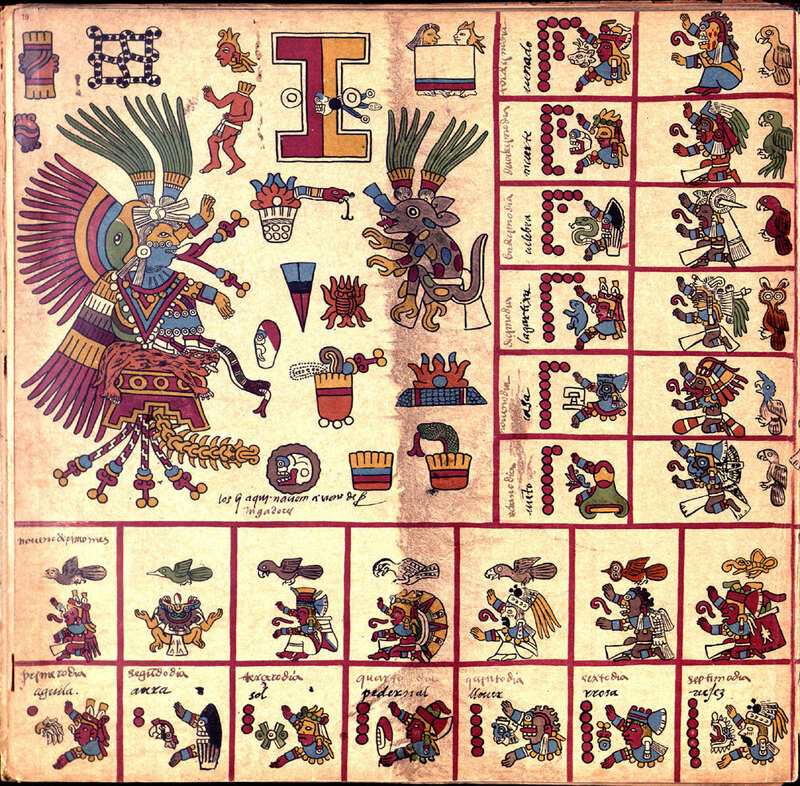 Also, tying to that I think it’s interesting that while Quetzalcoatl rules over the evil nahual, it is things related to Tezcatlipoca are evoked to repel them.